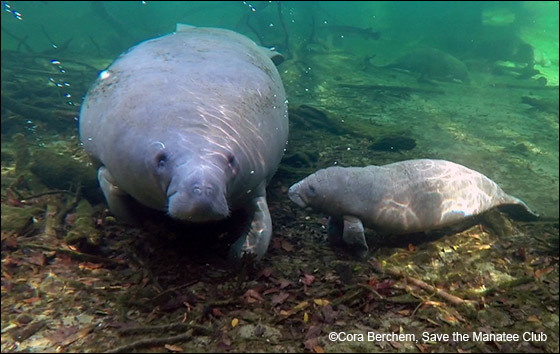 In January 2017, a manatee named Lemon brought her newborn calf to Blue Spring. We believe the calf was born around January 9th. 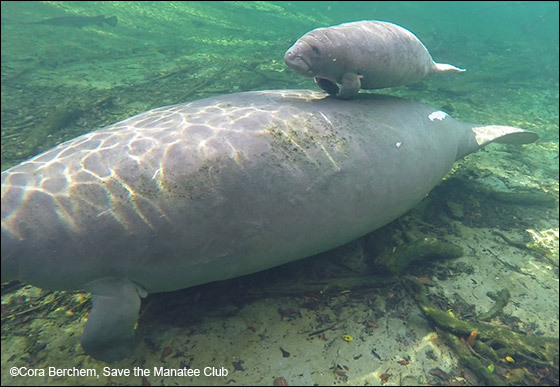 Please remember to observe from a distance when you spot manatees in the wild and never disturb or separate a mother and calf. 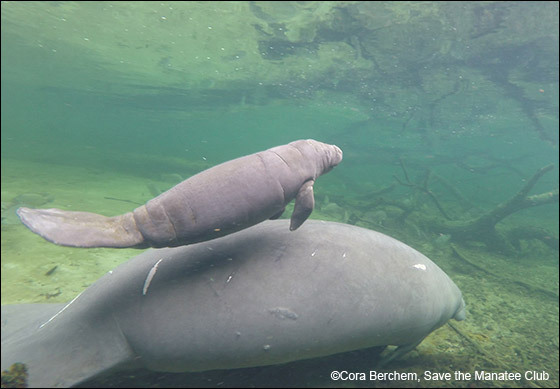 Manatee calves need their moms to survive! 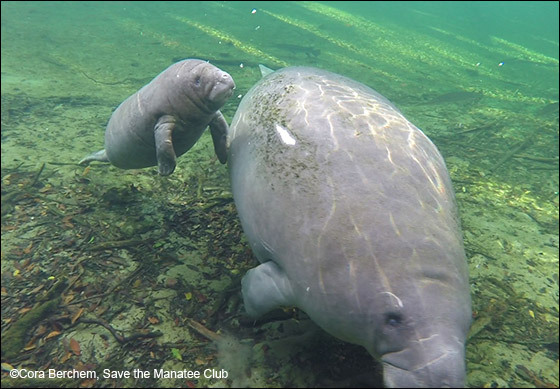 The calf was named Lime, as suggested by Save the Manatee Club's Facebook followers. Newborn manatee calves are capable of swimming to the surface on their own and vocalize at or soon after birth. 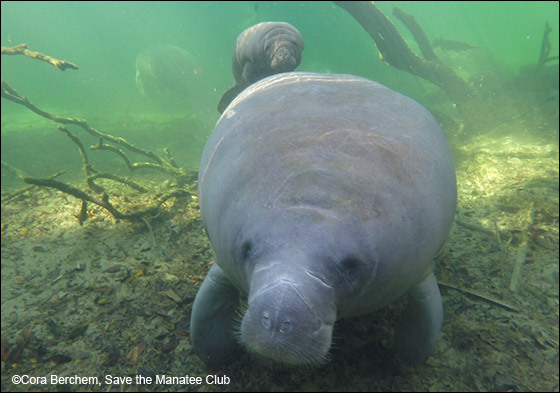 Manatee calves are approximately 47 inches long and weigh about 66 pounds when they are born. Mothers nurse their young for one to two years, so Lime may remain dependent on Lemon during that time. No word yet on whether Lime is a boy or girl.